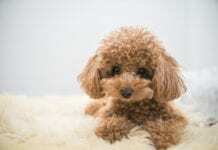 For real, who doesn’t want a dog officially nicknamed “Pom-pom”? They are basically adorable. Take a glance of a Pomeranian pup, and even the hardest of hearts will melt. 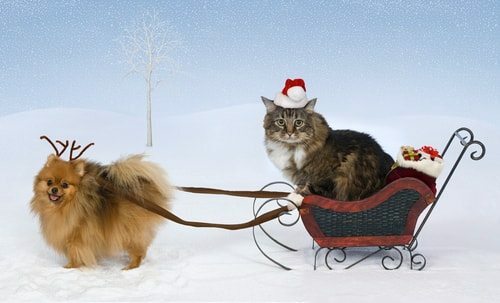 The Grinch should’ve been introduced to a Pomeranian. Like any other dog breed, Poms have their positives and negatives, pros and cons to ownership. On the plus side, Pomeranians tend to have a pretty sweet temperament; they’re playful, think they’re bigger than they are, and love being trained to do tricks because they’re little smarties. They’re teeny sweeties. They’ve got beautiful coats. They make great guard dogs. Some of their positives, though, are also pretty negative. For one thing, their size can be a real problem—drop them, flick them, and they can break bones, their necks, and even die. Those beautiful coats? They take a whole lot of upkeep and vacuuming for shedding. Sure they’re great guard dogs, but that’s because they’ll bark at anything that moves or makes a sound. Pomeranians can be bossy little suckers. You’ve got to make sure you’re the Alpha in the situation, or you’re going to have a tough barker and a constant misbehaver. Poms aren’t exactly great for children. They’re too fragile, and they’re also too defensive. They can’t play rough. Perhaps the largest issue with adopting a Pom is health issues. 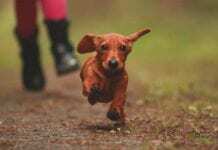 Cute’s costly. But for some people, it’s worth it. Before you get yourself a Pom, check out this list of pros and cons. 10. They are Hard Workers Who Pull Sleds and Herd Animals. Pomeranians love hard labor. We kid. Did you think I was serious for a second? The truth is, Pom-Poms used to be pretty big, weighing in around 30 pounds. 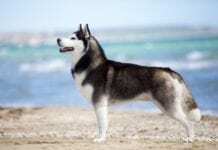 And they were once used as sled dogs and herding dogs in the province of Pomerania, their original home. 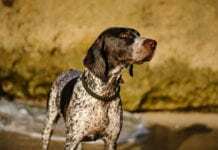 They weren’t bred to be little lap-dog companions until the 1800s. What’s amazing is that every once in a while, breeders end up with throwbacks, or Pomeranians that express the big-dog gene and come out more like their ancestors than the contemporary Pom. 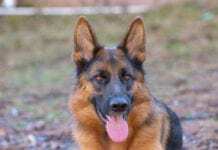 Dogs like the Pom are characterized by wedge-shaped heads, pricked-up ears, and thick, furry coats. Believe it or not, your little Pom is related to Norwegian Elkhounds and American Eskimo Dogs. Poms shrunk, most likely, when Queen Victoria, granddaughter of Queen Charlotte, took up dog breeding. She stumbled upon a smaller Pom around 12 pounds and latched onto the smaller Pomeranians, continuing the breed them. 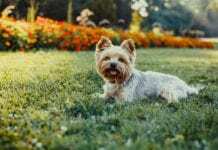 For the rest of her life, Victoria surrounded herself with the little fluffies and popularized the developing breed. Victoria was so into her dogs that she requested that she die with her beloved Pom named Turi at her side. Poms continued to shrink. These days, they’re 7-12 inches tall, weighing in at a tiny 3-7 pounds! Throwbacks, though, can grow to be more than 12 pounds. 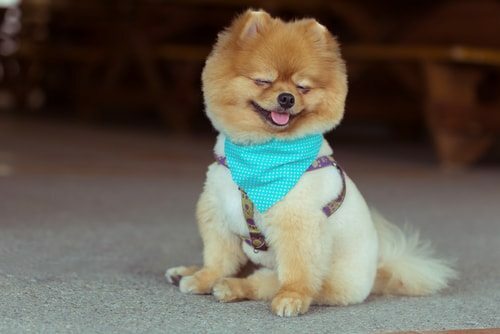 One thing that makes Pomeranians so attractive is their teeny, adorable size. If you’re looking for a dog you can bring on airplanes and carry in your purse, consider adopting a Pomeranian. Pomeranians love to be dressed by their owners. No, it doesn’t mean you’re weird. I’m sure you could have a boyfriend and a steady job if you really wanted one. Not really. Poms are, though, related to wolves. Like malamutes and Akitas, Poms are a spitz breed, or a breed of dog with wolfish characteristics. What’s funny is that Poms are actually prey to plenty of species. Birds like eagles, hawks, and owls would happily fly away with one in their talons, so keep an eye on your little Pom-Poms while they’re playing outside. 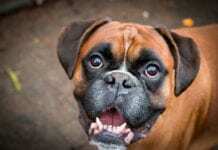 They do have a bit of Napoleon Syndrome, which can put them at increased risk of trouble or injury. Poms think they’re big dogs (they once were, after all), and because of this, they often pick fights with bigger breeds and bravely jump from high places. Once again, keep an eye on yours. 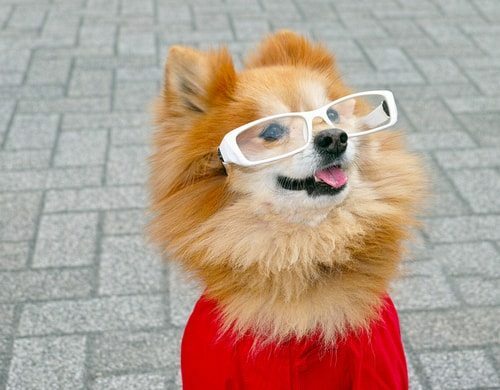 Overall, Pomeranians are extroverted, social, and smart. And they are the perfect breed of lapdog. They love meeting new people and animals. Here’s how the AKC puts it: Pomeranians are “buoyant in deportment… inquisitive by nature… cocky, commanding, and animated.” Certainly this is true. Most Poms happily play with others, though some are blessed with more commanding personalities and boss around and chase other dogs. Pomeranians aren’t the type of dogs you have to really worry about around other dogs, in the sense that they don’t have the ability or desire to hurt others. The only risk you’re taking is them getting stepped on by a Great Dane or other large breed. That could result in some fat hospital bills for broken bones. 8. Their Coats Take Quite a lot of Upkeep. Comb through your Pom’s coat, and chances are you’ll end up with a Pom-sized puff ball beside your dog in no time. Pomeranians have thick, double coats indicative of their sled-dogging past. Buy a nice vacuum, because these dogs know how to shed. 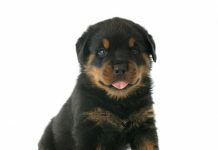 If you’re not into regular vacuuming, regularly comb up your pet, as the more you groom, the less you have to vacuum. 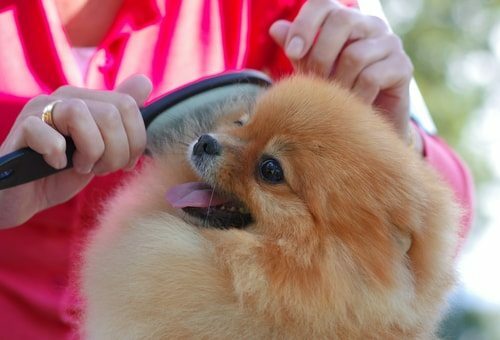 Put simply, Pomeranians are high-maintenance when it comes to grooming. This may be a reason to consider a different breed. Grooming needs to be done frequently, and it’s got a lot of steps. This can be expensive if you choose to get it professionally done, or time-consuming and messy if you choose to do it yourself. Your dog is going to be a real ball of mess if you don’t groom, so laziness in this regard isn’t an option. Don’t shave up your pup when the weather gets warm. 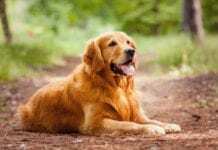 Although this may seem the logical step since you don’t want your pup to overheat, the coat may never grow back to its beautiful fluff if you shave it off. Shaving this thick coat off doesn’t help your dog avoid overheating, either. You’re best off taking walks during cooler parts of the day and making sure to keep ‘em hydrated throughout sunny months. Instead of shaving, trim your Pom every couple of months. Don’t cut the coat down so much as trim the spots that are overgrown, like loose ends on human hair. One of the best, most adorable aspects of Poms is their fluffy, soft fur. Correctly groom your pup, and you’re going to get that Pom-pom look you want. 7. They’re Suspicious Little Buggers. Poms will bark at the drop of a hat, and they’ll bark all day if you let them. 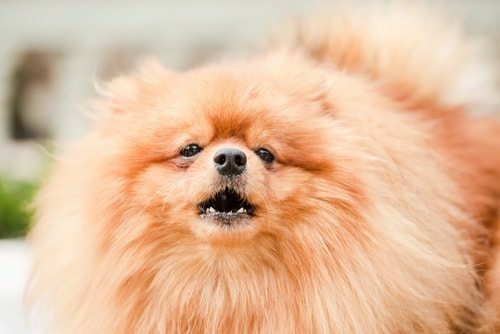 If you’re looking to get a Pom, make sure you train it as quickly as possible to quit barking on command. Otherwise, you’ve just inherited one heck of a headache. 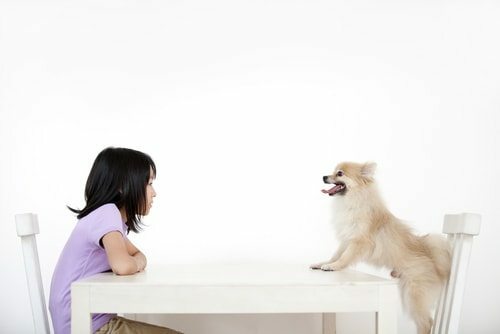 If doggy barks get on your nerves, consider ditching the Pom as a potential pet. As was mentioned before, Poms can be a little bossy, so assert yourself as Alpha as soon as you can, and as clearly as you can, because if you don’t, you’re going to get a pup who barks at you whenever they want or need something, even if that something is as simple as a tap on the head. This penchant for barking isn’t always a bad thing, though. Despite their small size, Poms make for great watchdogs. They won’t just ignore a creak in the night, and who knows? Maybe that could save your life. 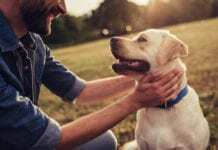 Don’t reward the behavior in any way—no excessive attention or treats at barking time. Poms hate isolation. Put them off on their own when they bark to encourage them to quit. Remove stimuli. Close your windows, install sound barriers, or sweep the curtains tight. Follow these rules, and you may be able to curve your Pom’s penchant for ruffs. 6. They’re Not Exactly Kid-friendly. Pomeranians and kids don’t mix. Scan the internet, and you’re going to find stories about Pomeranians with lovely, social temperaments and others who bark their faces off at kids. 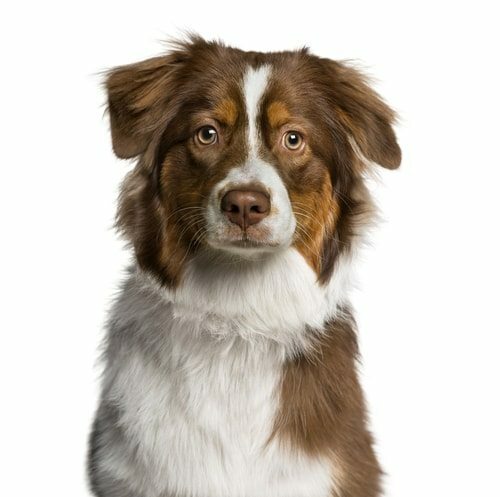 If you’re looking for a dog that’s guaranteed to get along with kids, go for a Golden Retriever or Labrador instead of the sassy Pomeranian pup. If you have small children, I do not recommend a Pomeranian. There are just too many Poms who won’t tolerate any nonsense. And there are too many Poms who feel overwhelmed by the loud voices and quick movements that children can’t help making—and stress and shyness (even defensive biting) may be the result. If you’re scanning a pup website and stumble upon five-star ratings, most likely a Pom is going to get a one to two-star rating on the kid-friendly section. You might think this is a real shame if you’ve always wanted one and you’ve got toddlers on your hands, but wait a few years and your children can learn how to more carefully handle these fragile animals.